Vipers SC players training at Kitende ahead of the clash with BUL on Friday. Courtesy photo. FOOTBALL–After a disappointing draw away to 10-man Bright Stars in the first game, Vipers SC will look to bag all three points against BUL in their first home game of the season. Midfielder Moses Waiswa is set to return after overcoming an injury that ruled him out of the goalless draw with Bright Star on Tuesday. The Venoms will have to do without Congolese striker Mousa Clovis Mbayi who is still nursing a hamstring injury but winger Duncan Sseninde and teenage sensation Frank “Zaga” Tumwesigye are expected to fill the void after over coming injury. BUL head coach Kefa Kisala is eager to secure an International Transfer Certificate (ITC) for Congolese striker John Mwendu after his side failed to find the back of the net in their first game against Mbarara City. “Hopefuly we can secure Mwendu’s ITC in time for the Vipers game because clearly the combination of Shaka Ssozi and Richard Wandyaka didnot help in the first game,” Kisala said. The former Uganda Cranes assistant is also expected to ring changes with captain Hakim Magombe and right back Umar Mukoba all expexted to start. 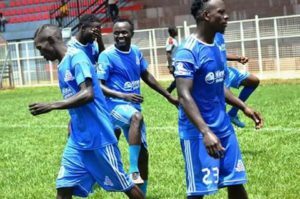 Vipers have not lost any of their last four first home games in the league (W2 D2) since loosing 2-1 to Entebbe Young in the 2012/13 season. BUL on the other hand have won only once in thier last six first away games of the season (L1 D4) with that win coming against Kira Young in 2014. Last season Vipers won the reverse fixture 1-0 before winning the return leg 2-1 in Kakindu. Bul have won only once in their six visits to Vipers (D1 L4). That solitary win was a 1-0 in April 2016. In the other game of the day, Soana will face the Bright Stars at home.